ALLAN, Sask. 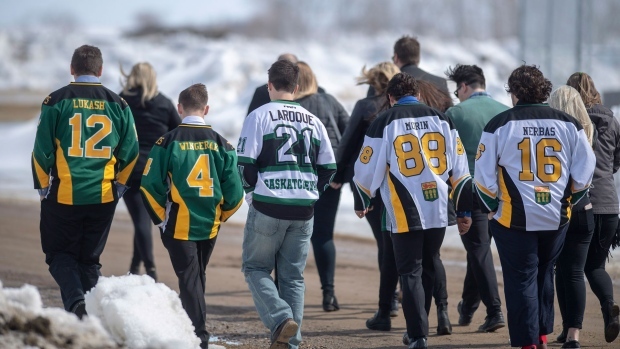 - Humboldt Broncos captain Logan Schatz was remembered as a kind, hard-working leader at his funeral on Sunday at a curling rink in his hometown of Allan, Sask. 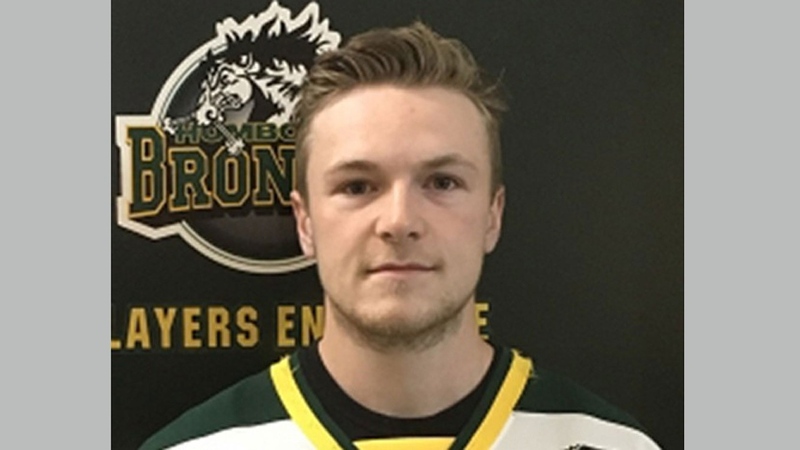 Schatz was among the 16 people killed on April 6 when the junior hockey team's bus collided with a semi-trailer at a rural Saskatchewan intersection north of Tisdale while travelling to a playoff game. After his speech, Brandow walked up to Schatz's parents - Bonnie and Kelly Schatz - who were wearing his Broncos jerseys, and gave them a hug. He was noted for being the life of the party and “was the beer pong champion,” according to the program from the service.